We often hear names of men from Classical Greece whose impact is known worldwide. And given the role most women played in Ancient Greece, it’s no wonder that even these accounts survive — accounts of fascinating, bold women who each changed the course of history in her own way. Phryne of Thespiae (c. 370-c. 316 BC) was a famous courtesan of Athens, best known for the court case she won by baring her breasts. Her actual name was Mnesarete (“commemorating virtue”), but she was called Phryne (“toad”) because of the yellow complexion of her skin. Ancient writers such as Athenaeus praise her extraordinary beauty, and she was the model for many artists and sculptors in Athens, including chiefly posing as Aphrodite (the existing statue, Aphrodite of Knidos, is thought to be modeled on her). The court case surrounded the charge of impiety, and it has been suggested that, whatever Phryne did, it had something to do with the Eleusinian Mysteries (initiation rites for the cult of Demeter and Persephone). It could be, like Alcibiades, that she had taken the sacred Kykeon (potentially psychoactive drink) for a private party with friends, but this is only conjecture (though, it seems, not out of character). Her lover Hypereides, a famous orator, defended her in court and spoke eloquently, but it seemed as though the judges were going to condemn her. Phryne revealed before the Areopagus. 1861. Jean Leon Gerome. At this point Hypereides disrobed Phryne, and the judges were so struck by her beauty that she was acquitted. The truth of this story, like that of Telesilla’s defense of Argos, has been debated for centuries. 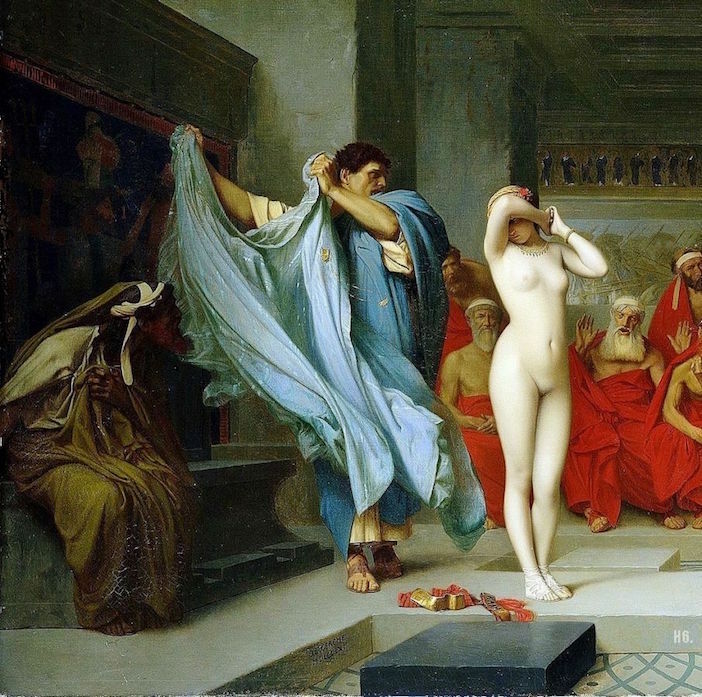 Some claim that the earliest account of the trial makes no mention of Phryne disrobing and that it was a later invention created to mock the Athenian court; some claim that it was Phryne herself, not Hypereides, who removed her clothes and that she also undid her hair to show herself in the likeness of Aphrodite. Whatever happened, she was acquitted and went on living a life of luxury as one of the most beautiful and sought-after women of Athens. She became wealthy enough to live as she pleased and even offered to re-build the walls of Thebes, which Alexander the Great had destroyed, if the people would consent to her inscription reading, “Destroyed by Alexander, Restored by Phryne the Courtesan,” but the Thebans refused her offer. Of the poets listed with Anyte in Antipater’s list of earthly muses is Telesilla of Argos (5th century BC) who, though famous for her poetry, became more so for defending her home city against the invading Spartans in 494/493 BC. After Cleomenes I of Sparta decimated the Argive forces at Sepeia and, later, at the Sanctuary of Argus, he marched on the city of Argos. Telesilla took down the ornamental arms from temples in the city, raided the armory for whatever was left, and equipped a force of the city’s women with arms and armor. She then organized the city for defense and marched out to meet the Spartans, inflicting heavy losses. Cleomenes recognized that he was facing an impossible situation: if he defeated her, he would have no honor in slaughtering women, while if they defeated him, Sparta would have been beaten by a band of girls, so he prudently withdrew his army and Argos was saved. 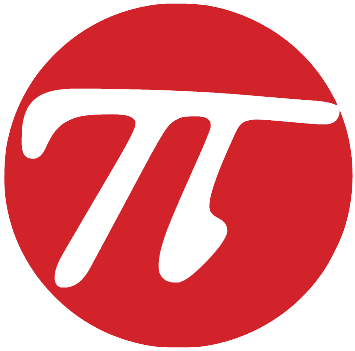 Modern-day historians still debate the truth of this account, but it was repeated by many ancient sources and is considered entirely plausible by a number of scholars today. Hydna of Scione was trained to swim by her father, Scyllis of Scione, a diving instructor and expert swimmer who taught the art of swimming for a living. He instructed his daughter from a young age, and she became well known for her ability to dive deeply and swim long distances. When the Persians invaded Greece in 480 BCE, they sacked Athens and marched across the mainland after defeating the Greeks at Thermopylae. The Persian navy then sought to destroy the rest of the Greek force in the naval battle at Salamis. If the Persians won at Salamis, Greece would be lost. Hydna and her father dove beneath the Persian ships and cut their moorings, causing these ships to drift and run aground or damage other vessels. This feat is even more impressive when one considers that, in order to perform it, Hydna and Scyllis had to swim ten miles into the sea in the middle of a storm. Their story comes from the Greek historian Pausanius in his Description of Greece, 10.19.1, and he further relates that, for their heroism, statues of them were erected at Delphi following the Persian defeat. Arete of Cyrene (4th century BCE) was the daughter of the hedonist philosopher Aristippus (c. 435-356 BCE) and grew up influenced by his teachings. There is some dispute among historians as to whether it was Aristippus or his grandson of the same name who founded the Cyrenaic School but, since ancient sources claim that Arete took over the school upon Aristippus’ death, it would appear to be the former. Like her father, she is said to have held to the philosophy of “I possess, I am not possessed”, by which she meant that one could have as many worldly goods as one wished as long as one’s life was not controlled by those possessions. One could, for example, have a house and many beautiful objects furnishing and adorning it, but one should recognize such things as possessions which, perhaps, once belonged to another before and will certainly belong to someone else after one’s death or change in circumstance. One should, therefore, pursue pleasure and enjoy the things of this world without allowing those things to control one’s life and freedom of movement. Arete of Cyrene is said to have written over 40 books, none of which survive in the present day. She also appears to have been a single mother who raised Aristippus-the-Younger in the hedonistic philosophy and home schooled him. He would later take over the operation of the Cyrenaic School after Arete’s death. Another female philosopher was Hipparchia of Marneia, whose austere life and teachings stood in complete contrast to the hedonism of Arete of Cyrene. Hipparchia came to Athens as a teenager with her family and fell in love with the Cynic philosopher Crates of Thebes who lived there. Her brother, Metrocles, was one of Crates’ students and introduced them. Hipparchia was drawn to the simplicity of the Cynic lifestyle, which emphasized complete honesty, independence, rejection of luxury and pleasure, and living life in accordance with nature. Hipparchia became so deeply attached to Crates himself that she rejected the suitors her parents encouraged and said that she would either marry Crates or kill herself. Crates was, at this time, an elderly man, and her parents asked him to convince Hipparchia to marry someone her own age and live a more traditional life. Crates is said to have disrobed before Hipparchia and said to her, “Here is the bridegroom and these are his possessions – choose accordingly”, which only made Hipparchia love him more. They consummated the marriage in public on the porch of a building in downtown Athens. This was in keeping with the Cynic philosophy that one should shamelessly do in public what one does in private because, if there is nothing wrong with what one is doing, there should be no shame in performing the action in front of others. She wore men’s clothes and traveled and taught with Crates, bearing him two children. When he died, she may have taken over teaching his students in Athens and was said to have written a number of books which are no longer extant. She is the only female philosopher included at length in Diogenes Laertius’ work The Lives and Opinions of Eminent Philosophers (3rd century CE) alongside men like Socrates and Plato. No woman’s life and work was considered more scandalous and shocking at the time Agnodice (4th century BC), who was the first female doctor in ancient Athens and whose challenge to the male-dominated profession changed the laws regarding women practicing medicine. Women had always been allowed to perform the services of midwife and could even attend patients, until it was alleged that they were helping their female patients procure abortions. After that, women were not allowed to practice medicine, and the penalty for doing so was death. Agnodice cut her hair and disguised herself as a man in order to study medicine and even traveled to Egypt, where women were held in higher regard and could be doctors, in order to learn her craft. Still in her guise as a man, she returned to Athens and began to treat people. She became so popular among female patients (who knew she was a woman) that she was accused by a group of men (who thought she was a man) of seducing them. She was put on trial in the Areopagus and, in defending herself against the charge, revealed she was a woman. The men then threatened to execute her for breaking the law by practicing medicine while pretending to be a man. She was saved by her female patients who shamed the court into acquitting her. It seems as though they pointed out how Agnodice had been successfully practicing medicine for some time now and that the male doctors were simply jealous. After her trial, the laws were changed so that women could practice medicine equally with men. Aspasia was born around 470 BC in Miletus in Asia Minor, into a wealthy family. She was known to have been highly educated. How she arrived in Athens is the source of some debate among scholars. A few sources suggest that she traveled there when her older sister married Alcibiades, who had been ostracized from Athens, and had spent his expulsion in Miletus. Aspasia’s incredible beauty, her intellect, and her powers of persuasion attracted the Athenian general, who was divorced from his first wife. Aspasia’s status as either a hetaera or a non-Athenian meant that they could not marry, so they did the next best thing: they lived together. They were very much in love, and they had one son, also named Pericles. Aspasia’s brain and potential influence over Pericles in matters of administration were likely quite threatening to other Athenians, and she and Pericles were often the target of scandalous rumors and personal attacks. Nonetheless, there was a faction of Athens that held Aspasia in quite high esteem, including Socrates. People listened to Aspasia, and some Athenian men even brought their wives to her in hopes that they would gain some insight and intellect from her words. Aspasia endured a great amount of revulsion for living her life on her own terms and speaking out on issues. And her influence must have been great, since she was blamed for Athens’ role in a war between Samos and Miletus (her homeland) in 430 BCE; she was even accused of having incited the Peloponnesian War. 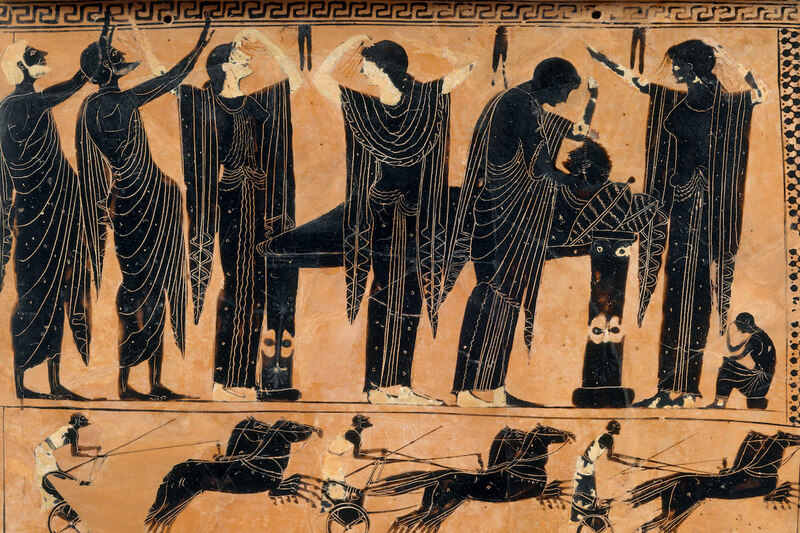 In 430 BCE, a plague struck Athens, killing one third of the population, including Aspasia’s great love Pericles (in 429 BCE). Some records indicate that Aspasia went on to marry another Athenian general, Lysicles and had a son with him. Lysicles died in 427 BCE, and nearly no record of Aspasia exists after that. Her son, Pericles, became a general in his own right, but was killed in 406 BCE. Some historians place her death shortly before that. Cover photo from Hendel D’bu via. You should have included also Hypatia of Alexandria. Thank you I enjoyed it!